Congratulations to Charlene & Nicole! from sunny to light snow and sunny again. Charlene & Nicole came all the way from Toronto to be married in Banff. 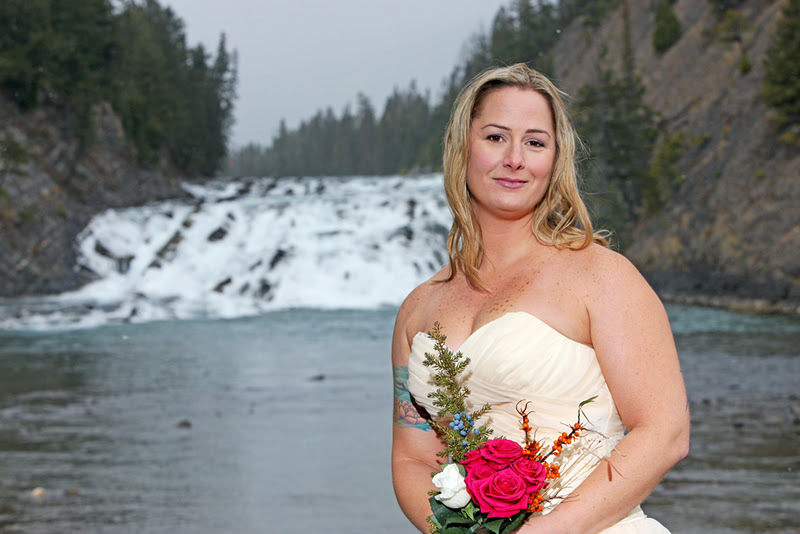 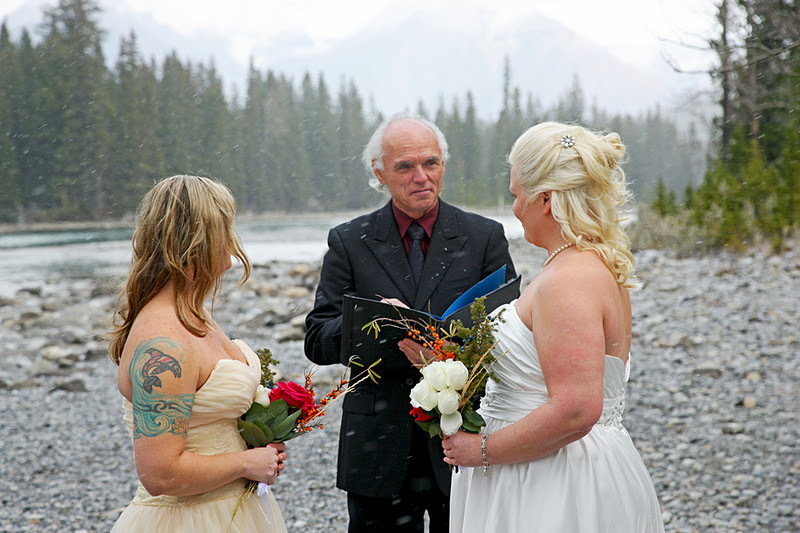 Local Marriage Commissioner Rob White performed a beautiful ceremony outside at the Bow Falls. 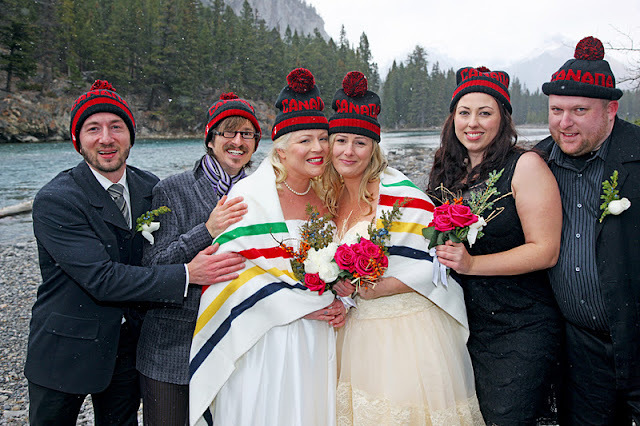 A few close friends helped them celebrate their wedding, and keep warm! 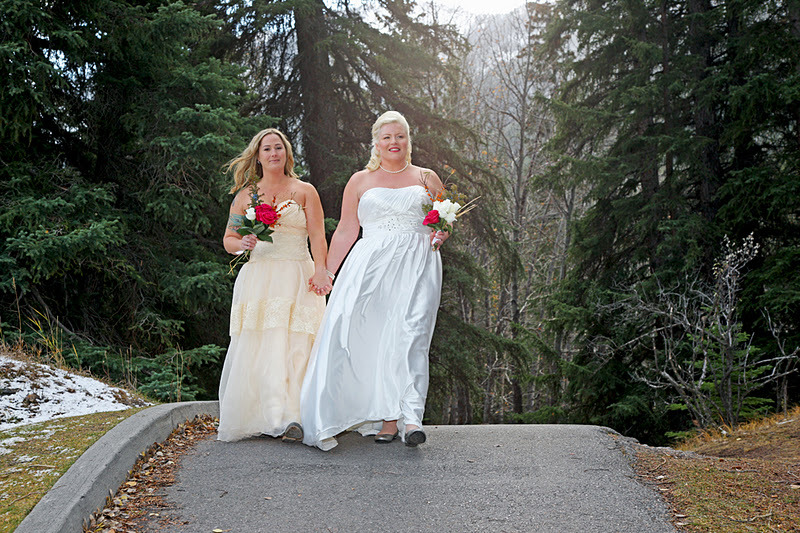 We love this fun photo! We were very happy to have two beautiful brides and two beautiful gowns - so cool! 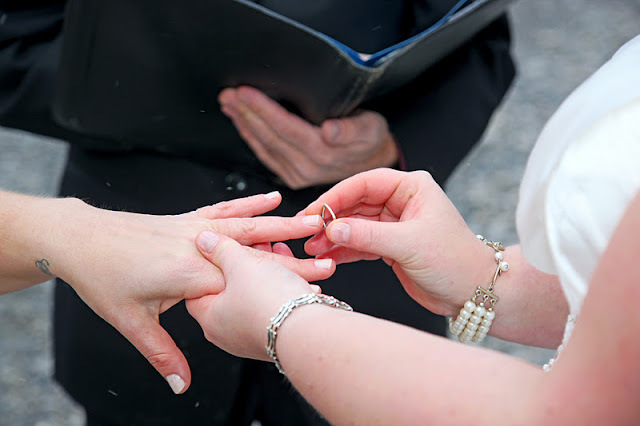 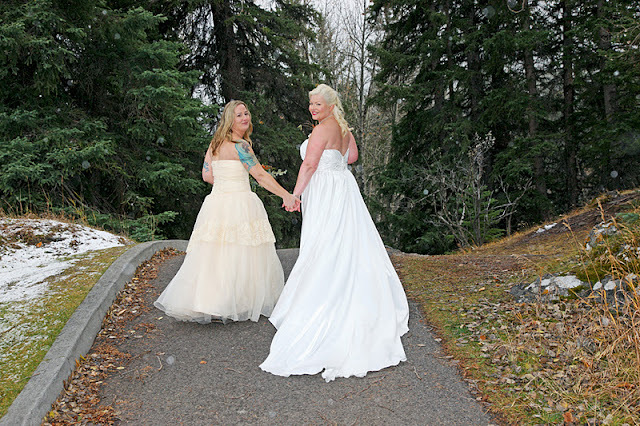 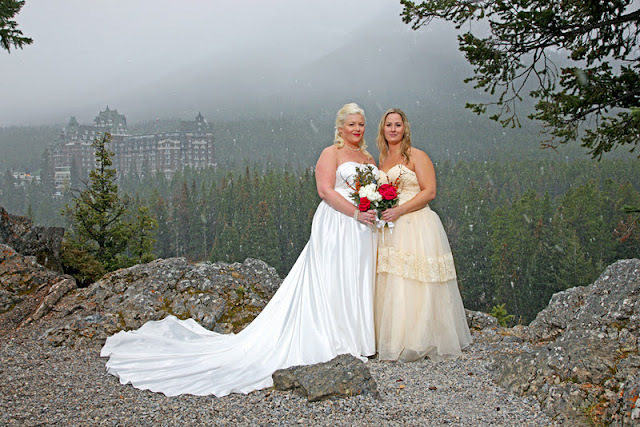 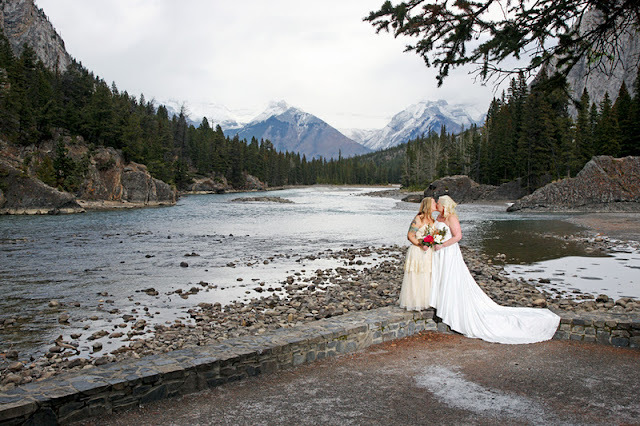 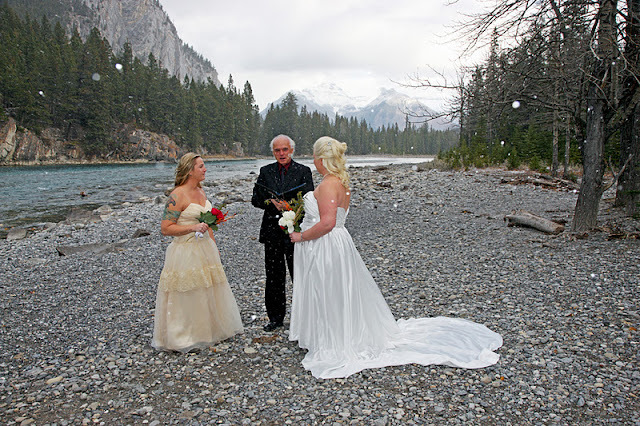 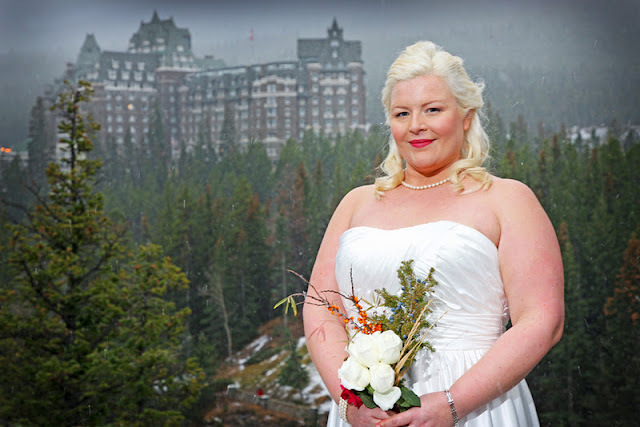 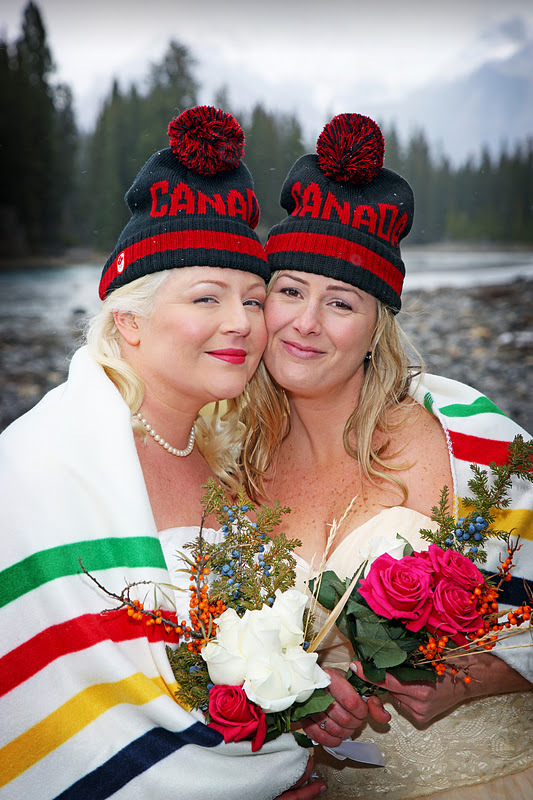 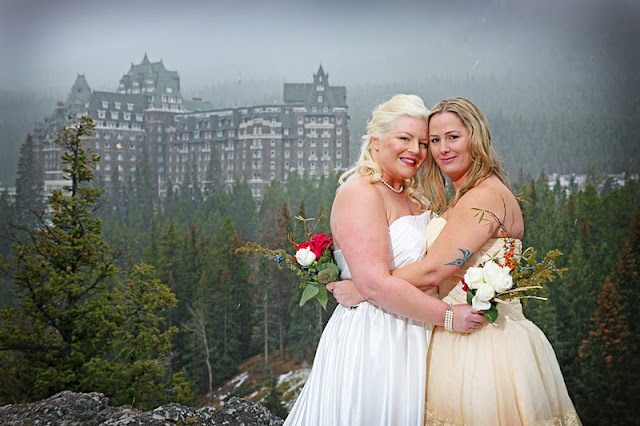 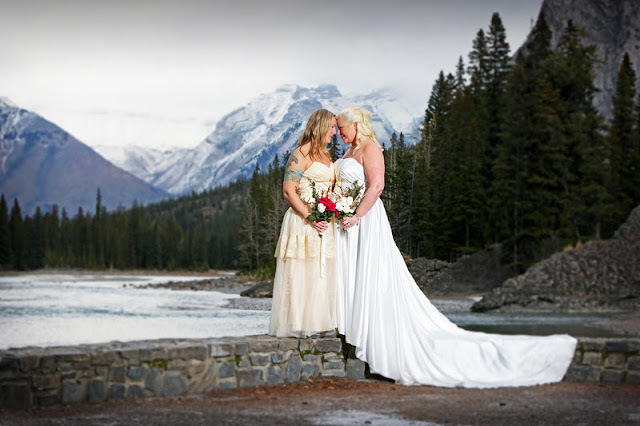 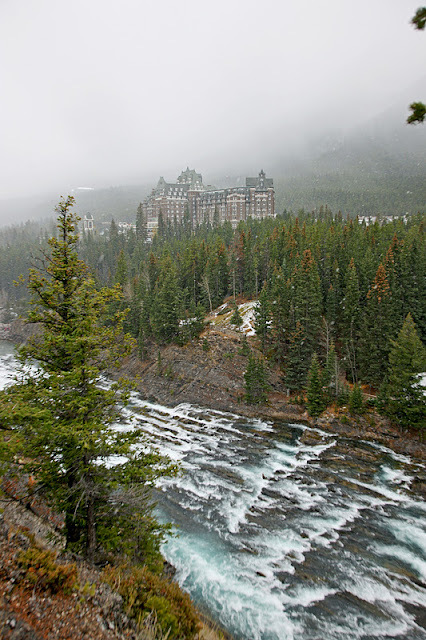 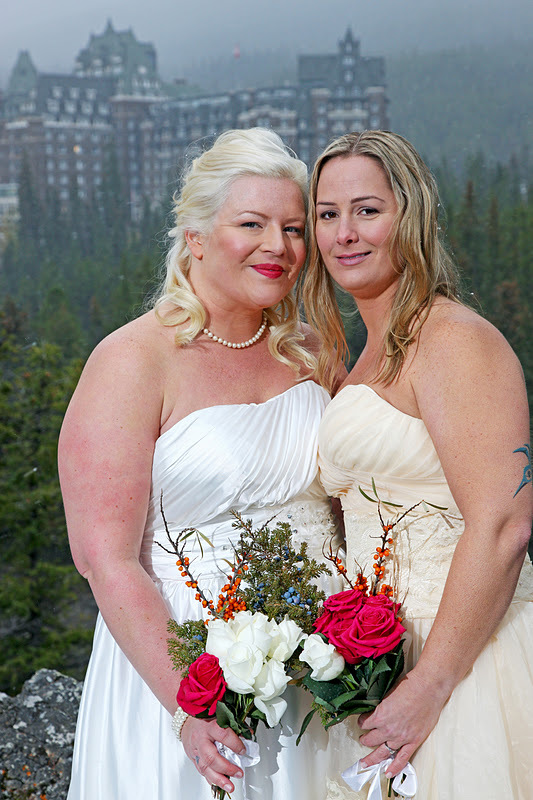 Charlene & Nicole we are thrilled you chose Banff for your desination Elopement Wedding! 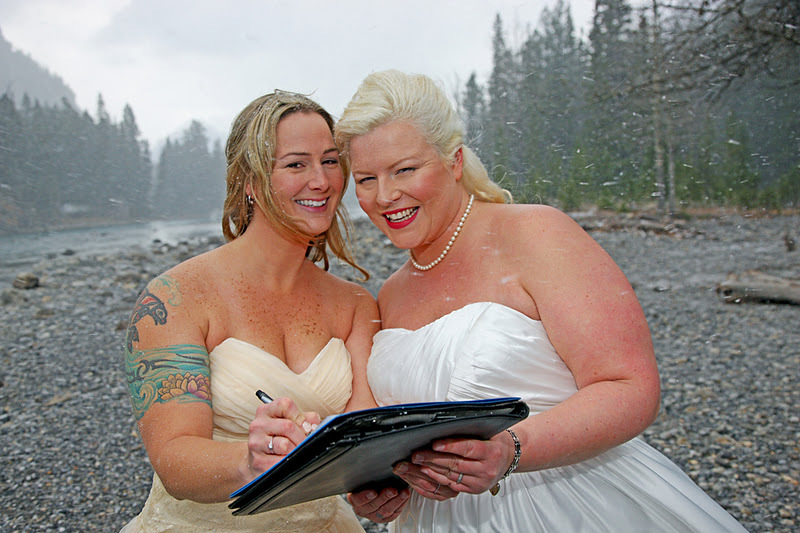 Thank you for letting us document and be part of your celebration.